For our Research TravelingMom, finding the best local restaurants in any given town is at the very top of the priority list. Even visiting paradise was no exception. She searched out the can’t miss places in Ka’anapali with an eye for the best kid friendly restaurants on Maui. Read on to learn what she found, and where you and your family should go for a great meal in paradise! As you might imagine, Maui has an abundance of restaurants that are serving up innovative dishes made with the freshest of ingredients, particularly dishes that include fish. 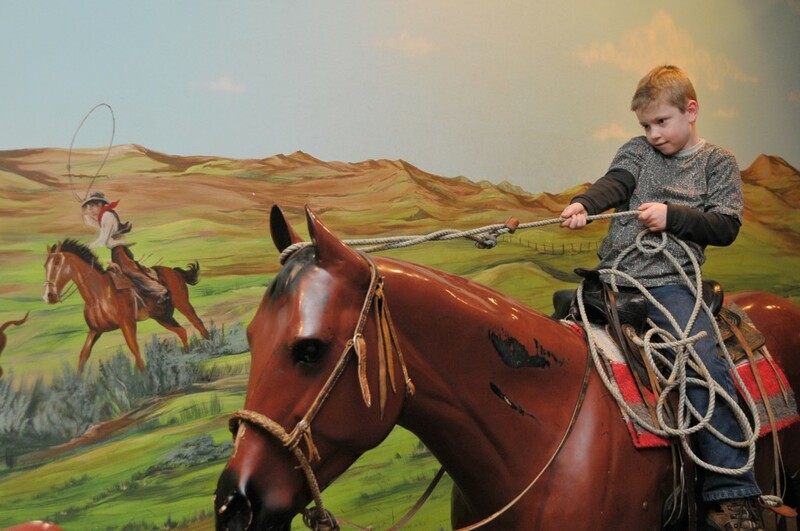 That made me happy – but what about the kids? Fortunately, this was a girls-only trip, but I’m always thinking ahead to next time. Which are the best kid friendly restaurants in Maui? Stay with me on this restaurant choice! I know that it seems a bit of a stretch to recommend an Italian restaurant while in the land of fresh fish. I was pleasantly surprised. Pulehu is an upscale restaurant located inside of the Westin Ka’anapali Ocean Resort Villas. It still feels Hawaiian while offering innovative Italian fare. By the time that we had dinner here, I was ready for a break from the fish that I had been consuming like a crazy person. I had the orecchette, a homemade pasta shaped like a small ear (thus the name). 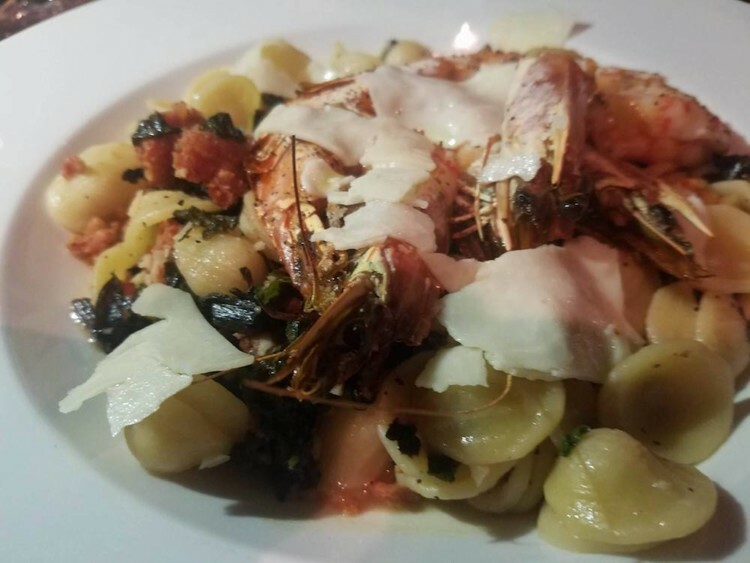 It was cooked to perfection and, with the shrimp in the dish, I didn’t feel like I was bypassing the fresh seafood that surrounded me. Some of the ladies who were dining with me had the lobster risotto, which looked amazing. The feedback I heard was that it was a fantastic choice on their part. It was a lovely dinner for us, but the atmosphere was relaxed adult, not always the best for two hungry little boys. There is no kids menu, so this probably wouldn’t be the best choice for my family. Of course, your mileage may vary. 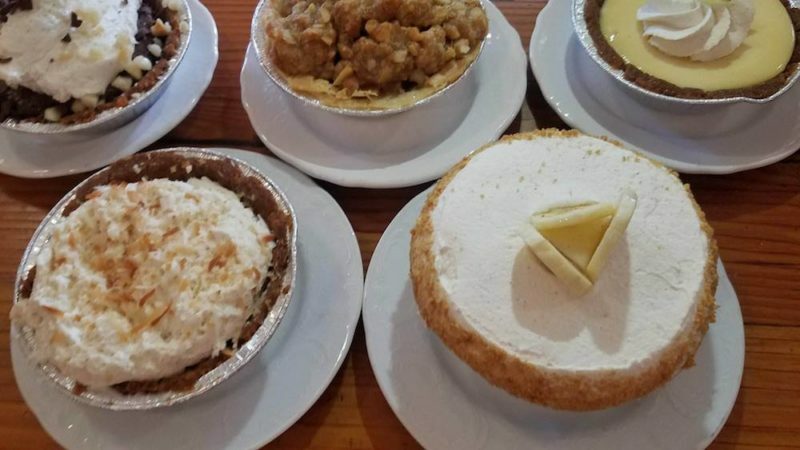 When our original lunch plans fell through while we toured the small towns of Maui, we decided to indulge our pie-craving pregnant friend and stop at Leoda’s Kitchen and Pie Shop. Thank goodness kismet brought us here. In fact, Leoda’s is the perfect destination for happiness, if pie is your weakness. And maybe even if it isn’t. Who can resist bread baked fresh every day? The menu offers something for everyone. Yes, this is one of best kid friendly restaurants on Maui. Kids and kids-at-heart can choose from burgers to hotdogs, while gourmet sandwiches and salads sporting the freshest ingredients make foodies happy. Naturally, my seafood craving led me to the seared ahi sandwich. I could easily eat ahi every day, especially if it’s prepared like the sandwich at Leoda’s. The star of the show, though, is pie. So many pies. How can anyone choose just one? Why would you? We selected five to share: banana cream, coconut cream, macnut chocolate, apple crumb and my favorite, Olowalu lime. This is not the time to count calories. Ignore the nagging voice reminding you that you’ll be in a swimsuit on vacation, and eat ALL THE PIES. I promise, you’ll be happy you did. After my visit to Leoda’s kitchen, I decided that this is a ‘two trip’ restaurant. The menu at Leoda’s is very expansive and I really had a terrible time deciding on which item to order. Eventually, I settled on the spicy tuna salad sandwich. It was seriously the best tuna salad I have ever had. And then – more pies! I am so glad we got a large assortment, because I wouldn’t have been able to choose just one of those pies to try! For a perfect mix of casual dining with delicious cuisine, Auntie’s Kitchen offers a taste for every member of the family. Perhaps I’m a bit biased, but offer me fresh seafood accompanied by beautiful ukulele serenades, and I tend to get a bit giddy. The spirit of aloha proved strong at Auntie’s Kitchen. Or maybe it was the signature mai tais, helping to erase my mainland stress. Whatever the reason, I happily enjoyed the entertainment while savoring my first taste of misoyaki – monchong filet, a local island fish, marinated with miso sake glaze and served with carb-alious macaroni salad, cabbage, and rice. The delicate fish melted in my mouth. While I could live as a pescavore, Auntie’s Kitchen offers plenty of selections for the non-seafood lover. I know my youngest son, with his love of barbeque, would relish the Hawaiian plate (a pork lover’s dream), while my daughter’s standard meal– a cheeseburger, plain, no bun—offers fuss-free food. Auntie’s Kitchen understands the concept of picky eaters, without sacrificing fresh ingredients and providing fine dining options for mom and dad. Just like at an auntie’s house, everyone feels the love through delicious food at Auntie’s Kitchen. This restaurant is situated on the outer edge of Whaler’s Village facing the ocean. The setting sun provided an idyllic backdrop to fantastic food and even better company. This open-air restaurant exuded an “old Hawaii” feel, but the food was very innovative and up to today’s standards and the mai tais are on point! I had the Opa fish, which was very delicious with the perfect amount of searing locking in the flavor. It made the fish melt in your mouth to perfection. However, the dessert stole the show. 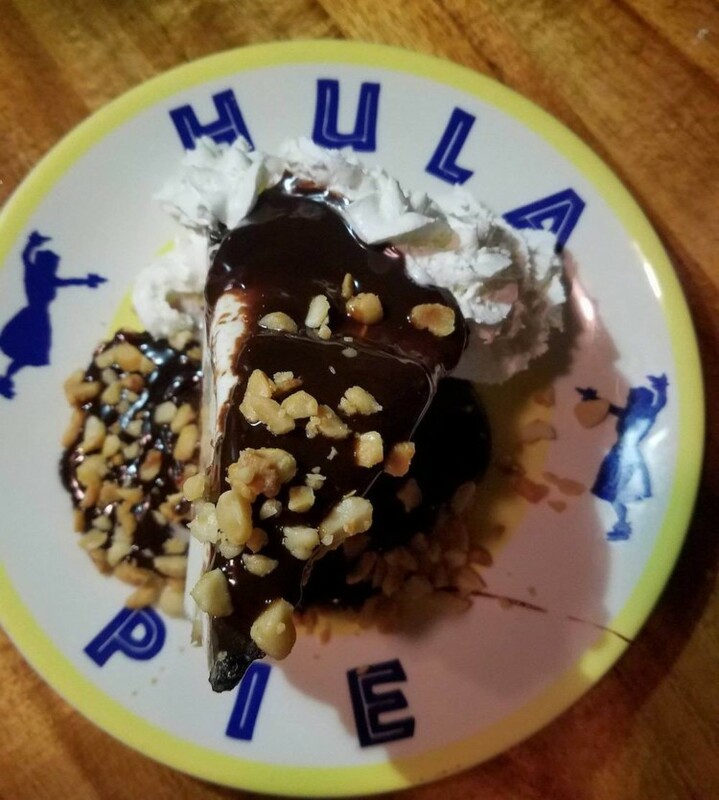 We ordered the Hula Pie, an ice cream creation that dreams are made of. My cohort Dia, who was dining with me, loved the Pono Pie even more than I loved the Hula Pie. The best part about the Pono Pie is it is an option for those with dietary restrictions. Nothing makes this garden geek’s heart happier than when I find an outstanding restaurant filled with local food. After all, my heart belongs to local farmers and fishermen. I love to discover new ways to use the piles of produce I grow in our own suburban microfarm. So, when I found featured farms on the menu which provided the ingredients at Hula Grill, I knew before my first taste of ceviche that I’d fall a little in love with the chef. And then I tasted the lobster and scallop pot stickers, and I wanted to marry him. (Or beg him to teach my husband how to prepare those blissful pot stickers.) While the name “grill” implies a casual atmosphere, Hula Grill offers an upscale beachfront setting with a menu to delight serious foodies. 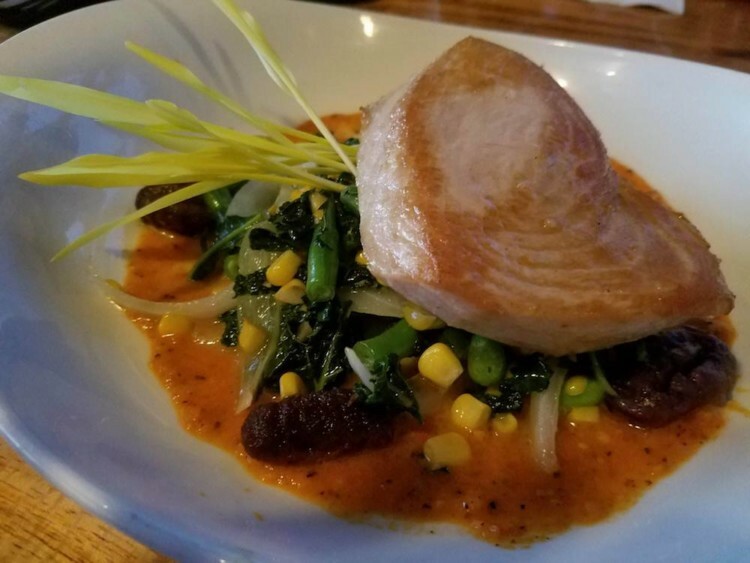 The chef’s special of two local fish – Mahi and monchong – showcased sides from local farmers. And while we all agreed we’d eaten too much, of course we couldn’t pass up dessert. Hula Pie (chocolate cookie crust, macadamia nut ice cream, hot fudge, toasted macadamia nuts, and whipped cream) versus Pono Pie (local Hawaiian bread fruit, toasted coconut, nut crust—gluten, sugar, and dairy-free) proved equally, sinfully delicious. Picky “keiki,” like my kids, may find a children’s menu without chicken fingers and hamburgers challenging. However, along with the seafood dishes, there’s a steak and potato option. And smoothies. My kids would be thrilled with the smoothies and the Hula Pie. In fact, if you want to win Parent of the Year, let your kids order Hula Pie for their meal. It’s vacation, after all. 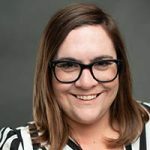 As experienced by Julie Adolf – Garden Geek TravelingMom …..
There’s nothing I love more than a good story. At Black Rock Kitchen, “E komo mai, e noho mai, e ‘ai a e, wala ‘au” invites guests to “Come in, come sit, eat, and talk story.” And the culture of Ka’anapali offers rich, beautiful stories to share. From the Black Rock cliff divers, who honor their ancestors by jumping into the sea, to the history told through hula, the stories shared over a delicious meal provided a camp-fire feel. may have asked if Black Rock offered any job openings because if I could eat that bouillabaisse every day, I would die happy. 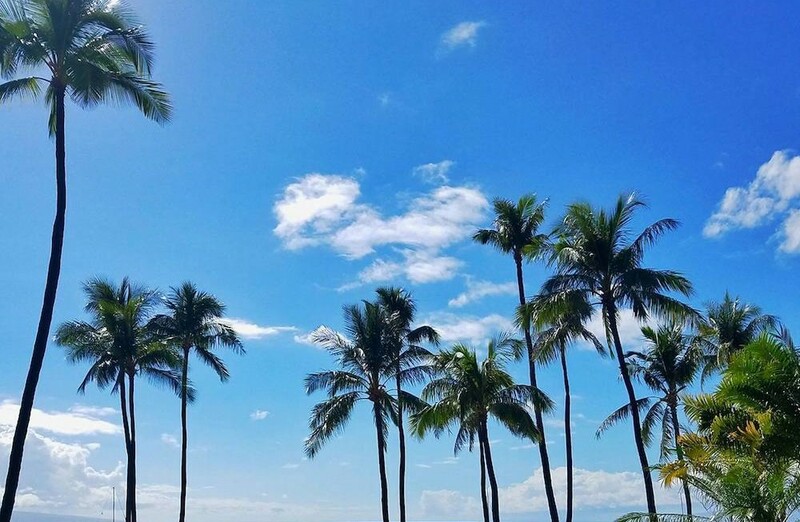 Don’t worry—I’d send for my family to join me in Ka’anapali. Even my picky children would find food to enjoy at Black Rock Kitchen, especially the Westside Poi Beignets, served warm with Roselani’s vanilla bean ice cream and Lilikoi caramel. Storytelling, bouillabaisse, and beignets? Bliss. Like Julie, I was also smitten with the food at Black Rock Kitchen. However, as cheesy as it sounds, Black Rock for me was all about the people. It was clear when we were talking with the chef that he puts a lot of himself into the dishes that he creates. The menu is innovative and sophisticated, while also maintaining an approachable element to the food. My favorite dishes were for sure the Korean chicken wings, probably because of bread they were served on. They were like fluffy pillows of deliciousness. The beignets made me weep, they were so tasty! I have to admit that I did eat more than one and I didn’t regret a single bite. Maui is truly a treasure trove of fantastic spots for finding your next favorite dish, and Ka’anapali offered tons of choices for even the pickiest of eaters. Have you visited before? Which spots are your favorite? Just looking at these pictures are making me hungry! I love seafood so Pulehu will definitely go into my “to-go” list!